Entertainment Guide Archives - Page 2 of 4 - LET'S PLAY OC! 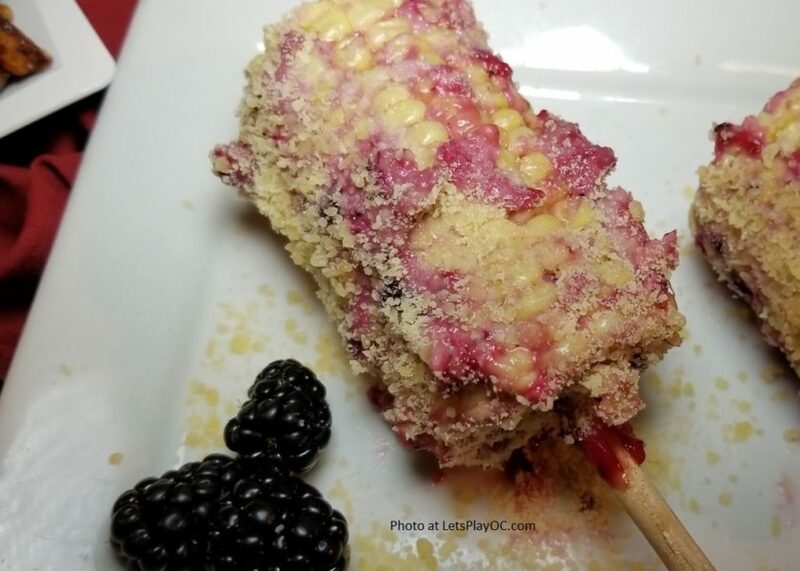 Knott’s Berry Farm Boysenberry Festival Tasting Card Deal 8 for $30! 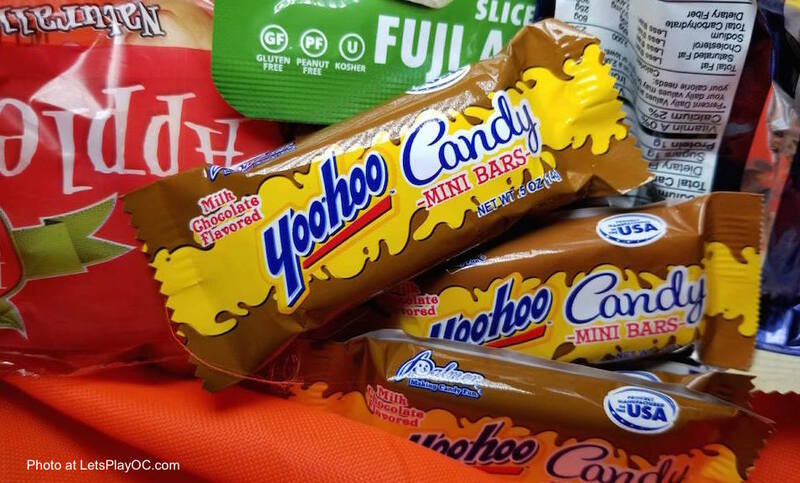 ZOOMARS Petting Zoo’s Pumpkinpalooza + Kids’ Favorites! We’re wrapping up the last few days of October with a week to Halloween to go! I cannot wait for cooler weather after a week of scorching heat, but we still have time to have fun and visit pumpkin patches. Have you been to ZOOMARS Petting Zoo in San Juan Capistrano? It is a cute little petting zoo with more than 200 animals ranging from gregarious goats, sheep, potbellied pigs, exotic emu, humpbacked zebu cows, llamas, bunnies, and our favorite – the guinea pigs! I know you have seen photos of children hugging and feeding them somewhere. Well it is right here at ZOOMARS. They also have a kiddie train, pony rides, gold panning, a large play structure, and a corn box. 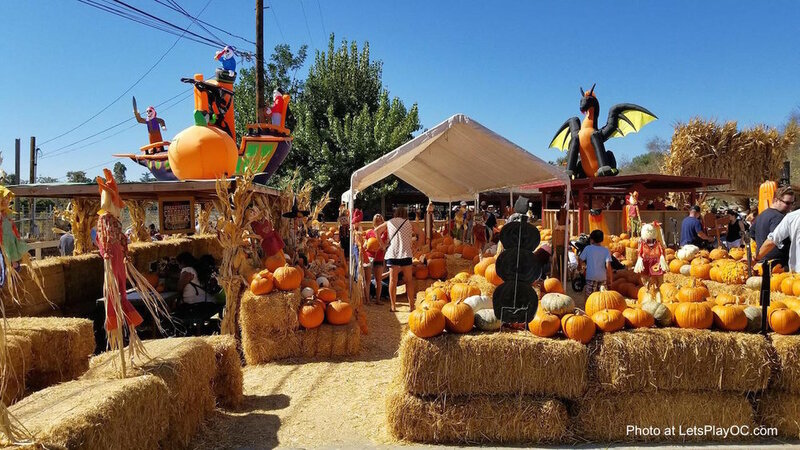 During October, ZOOMARS is transformed into PUMPKINPALOOZA offering a family-style pumpkin patch with kid-friendly hay maze, pumpkin decorating, and all of the other activities mentioned above. 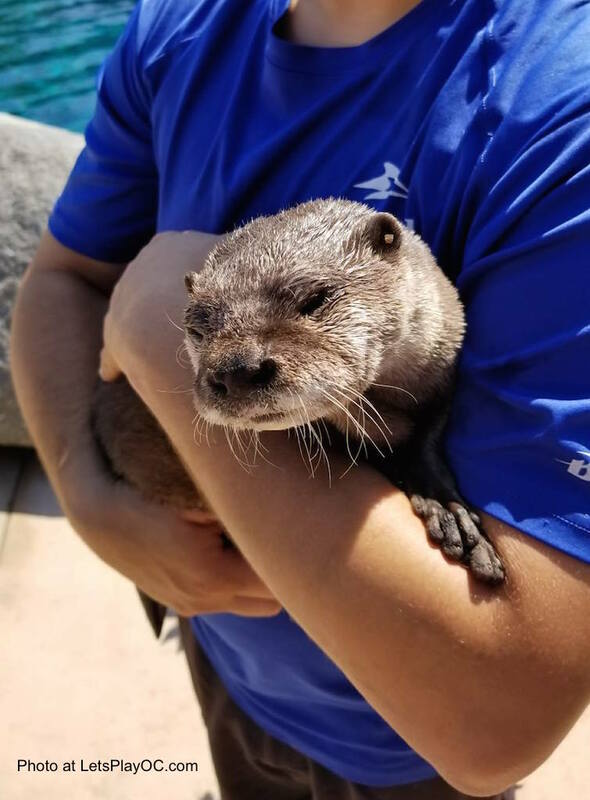 Most recently we had an opportunity to try the new “Animal Connection Experience” at SeaWorld San Diego. It is a 30-minute open house experience with at least three of the animal ambassadors. We met with a 5 year-old beaver named Peanut from Canada, an Eastern Screech Owl named Ruby from Florida, Goldie a sulphur-crested cockatoo that trick-or-treats, an african crested porcupine, a Linnaeus’s two-toed sloth, and a retired asian small-clawed otter named Buffy. My family loved the experience. We got to touch the animals with supervision, learned about how they came to live at SeaWorld, their behaviors, what they eat, and take photos with them. This encounter is not yet advertised. During the summer it was offered daily but for now, it is currently offered on Saturday and Sunday at 1:30 pm. The groups are limited to 8-10 people. If this is something you would like to do, go to Blue Dolphin Interaction Check-in and ask to reserve for “Animal Connection Experience” or call for availability. They only do one tour a day so you might want to reserve it right when you arrive. It’s $40 a person and they are currently working on a price for children for 2018. SEAWORLD’s Halloween Spooktacular Weekends in San Diego + Kids Free in October! 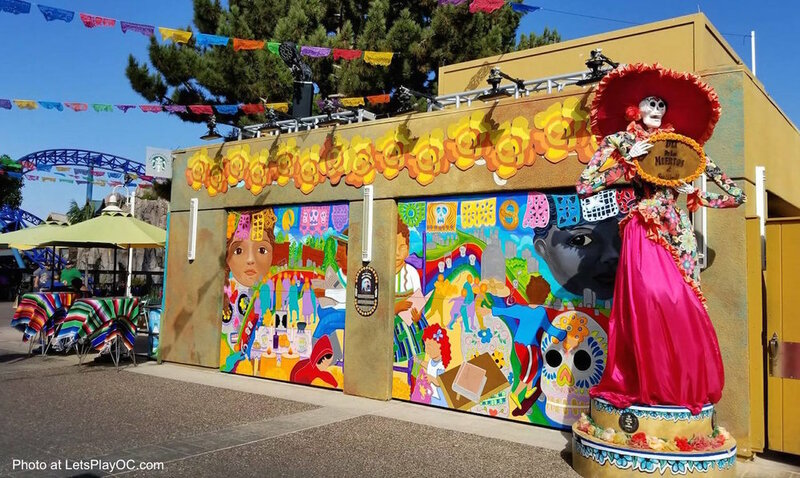 Do you know about Kids FREE San Diego in October? Well, SeaWorld San Diego is on that list! When you purchase an adult admission, a child gets in FREE! It also includes admissions to Halloween Spooktacular weekends in October! The same offer applies to Breakfast with Orcas, Dining with Orcas, and Dolphin Interaction. I will give you another hint. Their Trick-or-Treating starts at noon and runs until the park closes! More reasons to come early and plan to stay the whole day. Not only will the animal exhibits be open and there be themed decorations all around the park, there is a new Dia de los Muertos celebration, the Manta ride has been transformed into MADNESS, Clyde & Seamore always put on a great show for every season, Elmo and friends are all dressed up for the occasion and they’re trying to solve a mystery – “Who Said Boo?”, dance parties that start during the day and last through the night, and more! Children are invited to dress in their Halloween costumes. Available every weekend in October, SeaWorld is offering one child, aged 3 to 9, free admission with one full-paid adult admission through October! Although tickets for their party is already sold out, you can still enjoy both parks during HALLOWEEN TIME at Disneyland until October 31st! As you may know, Oogie Boogie casted a spell over Disney California Adventure. If you happen to be at Disneyland park when they transition over to Mickey’s Halloween Party and make you exit the park, head over! They did an amazing job with Haul-O-Ween in Carsland, and the Guardians of the Galaxy – Monsters After Dark is scary as heck! Now, if you scored a ticket to Mickey’s Halloween Party, come early so you can not only enjoy both parks, but you’ll want to experience all the events exclusive to the Party. Early entry begins 3 hours before the Party starts. We tried to come as early as we could, but we still didn’t make it to everything. Both parks are huge! My best advice is to plan ahead especially if you have small children. You saw the security line I posted online right? It went quickly after we made it through, but we hit the ground running, and for the rest of the evening, the pace stayed the same until we had to call it a night. Come prepared, dress for comfort, and enjoy! I think you all know that I love my Autism support group. I look forward to seeing my very special moms every month. We talk about our challenges, we share our successes, sometimes we cry together, but most of the time, we just laugh a lot. After seven years of getting to know one another, I think we just “get” each other. When the children were younger, we used to meet every month, sometimes twice a month – one is a Family Social and the other is Moms’ Day Out. Dads need support too and we love it when they come out with us to help us with the kids, but the funny thing is – the Dads don’t really talk to each other. I can’t speak for all of us, but we joke about us Moms being the social butterflies in our families and the Men just need some nudging. 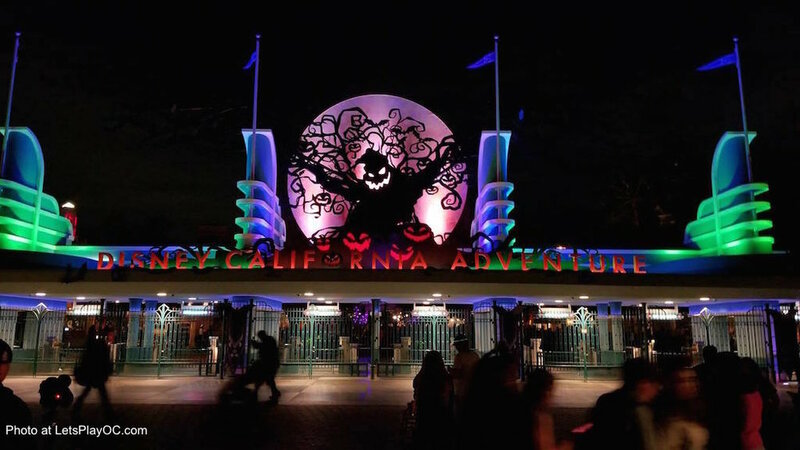 Disneyland’s Halloween Time Takes Over Disney California Adventure Park! Oogie Boogie, the boogeyman from “Tim Burton’s The Nightmare Before Christmas”, has casted a spell over Disney California Adventure Park! For the very first time, Halloween Time at Disneyland is now celebrated at both parks! You’ll first notice Oogie Boogie at the main entrance. Did you hear what he said? …Watch out! Throughout the night, he will also unleash a swarm of bats. Want to see where they congregate? The bats are circling the tower of the Carthay Circle Theatre! 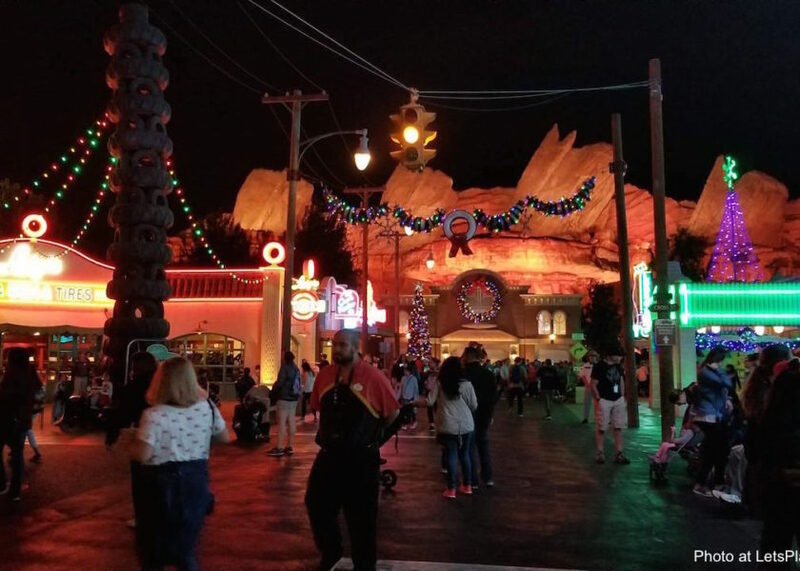 Cars Land has completely transformed and all your favorite Cars characters are all dressed up in their “car-stumes” to celebrate ‘Haul-O-Ween’. It’s so much fun! Thrill seekers will try to embrace themselves but it won’t help in Guardians of the Galaxy – Monsters After Dark. Scream all you want because you can’t get off until the ride is finished. Come hungry! There are several themed treats. I just love this time of year, don’t you? This year, a ticket to Mickey’s Halloween Party gets us into Disney California Adventure as well as Disneyland during the three hours prior to the beginning of the party in Disneyland Park. More details below!